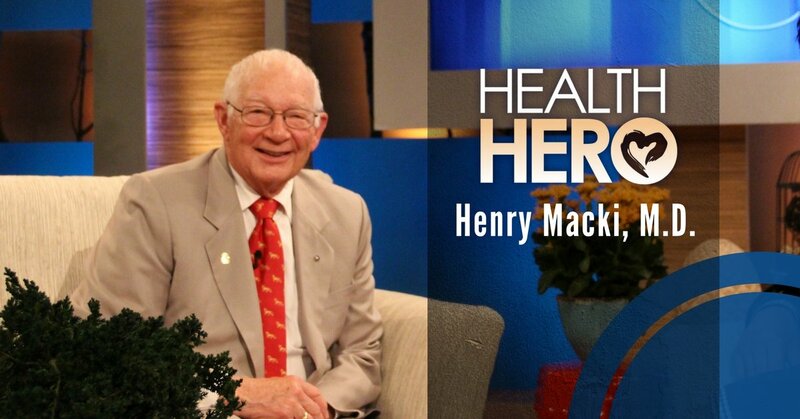 This week’s Health Hero is Dr. Henry Macki from Orphan Medical Network International (OMNI). This 20-year-old organization’s mission is to provide health care to orphans as well as to serve vulnerable children and the communities in which they live through education and community development. Dr. Macki is a doctor with OMNI and he has made it his mission to help orphans across the world with healthcare and compassion. A recent study found that one in every 9 children in sub-Saharan Africa will die before the age of 5 this year. Dr. Macki believes his hard work and drive can help change these statistics. His desire is to be out on the front lines dedicating his energy, time and education to making this a better world. While he was in Zambia with OMNI, Dr. Macki worked many hours and was able to see nearly 4,000 patients with a team in 8 clinics. These clinics provided much needed medical help to the orphans of Zambia. Dr. Macki is this week’s Health Hero because of his determination, belief and desire to help others in their quest to live a healthier life.